Throughout this dream process I have pushed myself daily to explore the things that make ME tick. The passions that lie within. To observe the meandering of my mind. The results are conclusive. I am a person who loves all things creative. I wouldn’t classify myself at this point as “artistic” as I don’t actually express my creative side in an artistic way. Most people connect artistic and creative and have never looked at creativity as an isolated skill that can be applied to any other field. Through my entrepreneurship escapades I have recognized that I have a creative problem solving approach and creative thinking style. I can make connections between really random things and I see things in terms of puzzle pieces fitting together or analogies. It’s never been easy to describe. Until I spent time during this challenge trying to understand what makes me unique. Then I found DESIGN THINKING – and I was like EUREKA!!! Now here’s a way to describe what I do naturally, and would love to study further and teach others! Below are excerpts from the Wikipedia page. The main point of difference is that of timing. Both artists and scientists operate on the physical world as it exists in the present (whether it is real or symbolic), while mathematicians operate on abstract relationships that are independent of historical time. Designers, on the other hand, are forever bound to treat as real that which exists only in an imagined future and have to specify ways in which the foreseen thing can be made to exist. I dream of designing the future, specifically in Education and Social Innovation. The beauty of mastering design thinking is that I would aim to be a facilitator/contributor on multidisciplinary teams to work on Wicked Problems (ill-defined and tricky problems) which are the kinds of problems I get a thrill from. 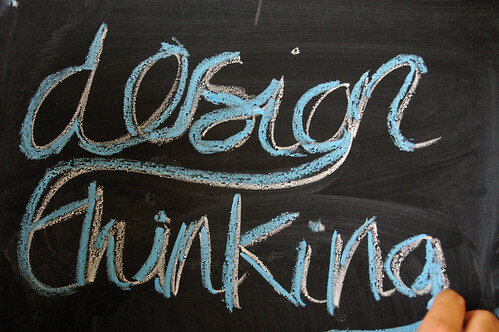 I would teach as many people as possible how to employ design thinking. I am researching the new Master of Fine Arts in Design Thinking offered by Radford University. I have time to look for other programs that may meet my needs so if anyone has anything to suggest, please do so in the comments below.